What a happy little addition for your home! 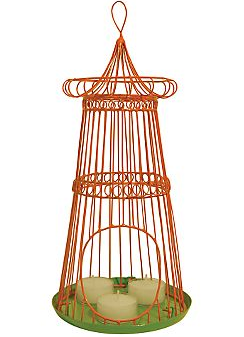 Orange & Green bird feeder or tea light lantern from The Conran USA Shop for $33.60. 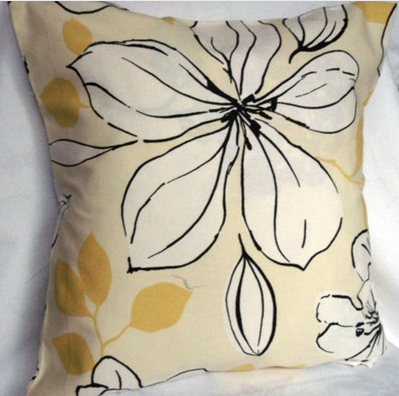 One-of-a-kind pillow covers from Ruth’s Crafts via Etsy. These are only $10.00, handmade, and hundreds to choose from. 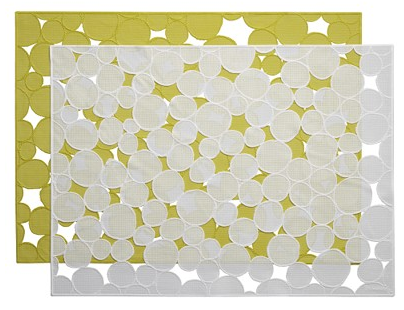 Just slip these covers over existing pillows and presto – new pillow and color for any room! 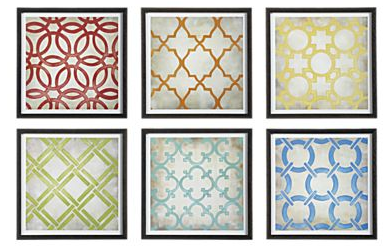 Ancient tile pattern wall prints from Crate and Barrel. 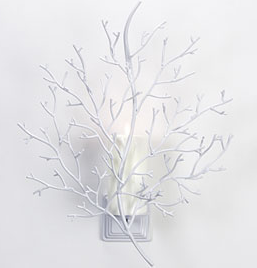 Sold as a set of six for $369.00 or individually for $69.00. 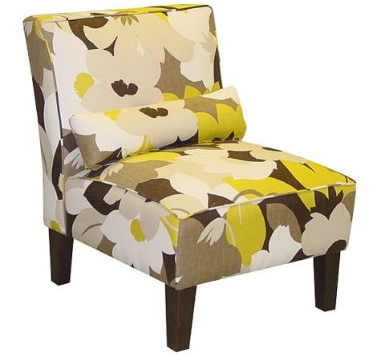 Floral oasis living room chair at Target for only $259.99! Wow, so cute! 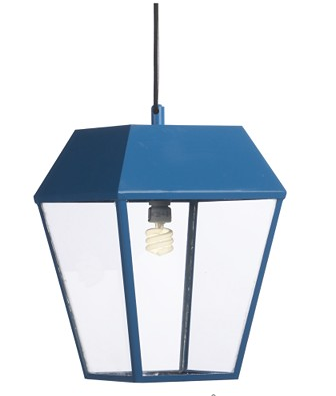 Blue steel pendant light from CB2 only $99.00!